Serving Los Angeles County including the San Fernando Valley, Santa Clarita Valley, Simi Valley & Thousand Oaks since 1977 with Expert, Quality & Reliable Service. Customer Satisfaction is our GOAL! A Valley Tree Service specializes in taking care of your emergency tree service needs 24 hours per day. 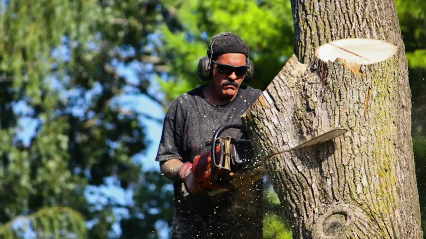 We have the technical expertise and state of the art equipment to handle even the most difficult tree trimming and tree removal projects promptly and safely. Your satisfaction is our highest priority. A Valley Tree service has 24 Hour Emergency Tree Service available for your convenience and safety.